Directed by Anees Bazmee, Mubarakan Trailer is Out Now! 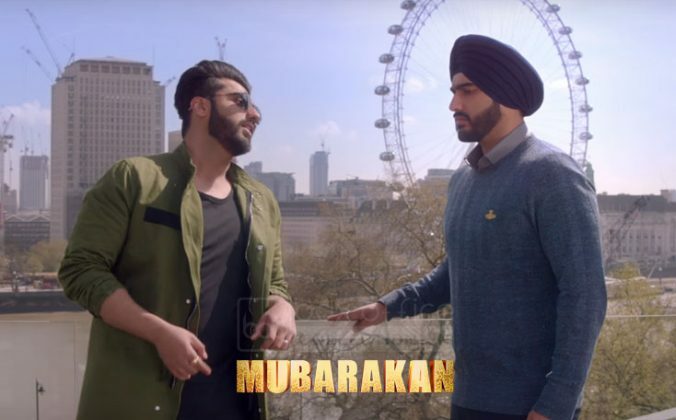 As per schedule, official trailer of year’s one of the much awaited movies Mubarakan was launched on June 20 in Mumbai and on internet as well. The 2:47 min video shows the highlights of the movie, which seem very entertaining and promises a joy ride for the audience. The launch event was a celebration in itself where all the leading actors were present and indulged in a fun-filled interaction with media. The actors shared their Mubarakan moments and also showed some bhangra moves. Mubarakan is directed by Anees Bazmee who has given successful comedy movies like No Entry, Welcome and Singh Is Kinng. It’s a romantic comedy, stars Anil Kapoor as Kartar Singh, Arjun Kapoor as Karan & Charan Singh, Ileana D’cruz as Sweety and Athiya Shetty as Binkle in lead roles. Although with the trailer, Mubarakan seems to have similar story with double-role addition of Arjun that we have already seen in previous decade. But still it looks fresh and entertaining because of young-at-60 actor Anil Kapoor’s amazing comic timing. This is for the first time when real life Chacha-Bhatija Anil Kapoor and Arjun Kapoor will be seen together on silver screen. In the movie they are sharing the same relationship of uncle and nephew. It would be very delightful for fans to see their bonding on screen. 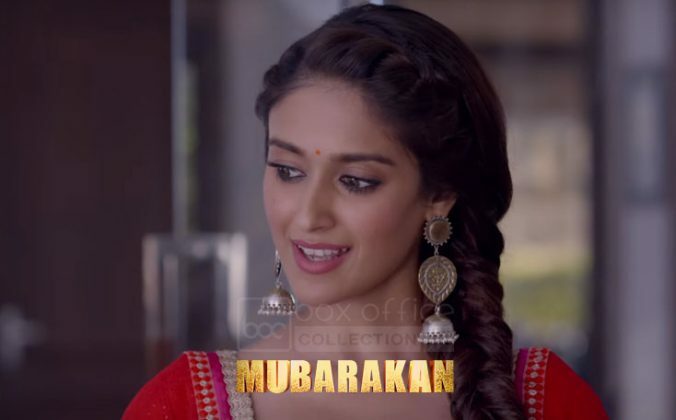 Leading ladies Ileana as a desi chic and Athiya as a simple kudi add good charm to the movie. Produced by Sony Pictures Networks Productions, Ashwin Varde and Murad Khetani’s Cine 1 Studios, Mubarakan seems like a pure family entertainer and all set to be released on 28th July 2017.